The PMC Slimline Miniature Electronic Pressure Transmitter incorporates a highly precise ceramic-capacitive pressure sensor. It’s compact design of 1 1/16" diameter x 4" long makes installation in confined spaces possible. Accuracy is ±0.2% over full sensor range. Tolerance to overload is 10 times nominal range. The electronic voltage-to-current converter (signal conditioner) allows accurate calibration utilizing precision potentiometers on a set of dip switches. 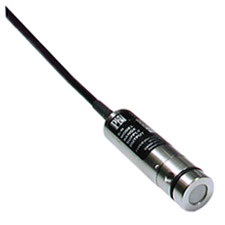 The sensor output is temperature-compensated from -30°C to 100°C to assure accuracy and long-term stability.